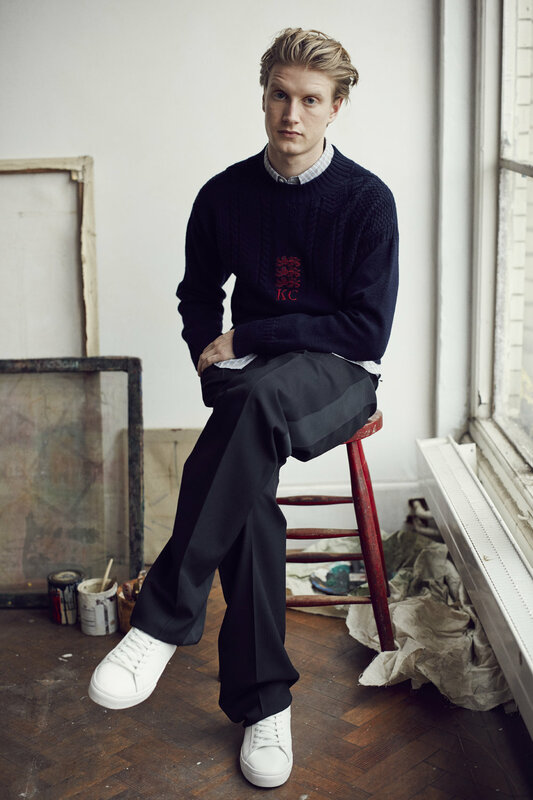 British menswear brand Kent & Curwen celebrates the launch of their latest collection through a collaboration with award-winning photographer and filmmaker Perry Ogden, to present a series of photography with a short film with Kent & Curwen’s new menswear collection. A gallery show featuring 34 individual and group portraits at 15 Floral Street while 17 Floral Street will become a pop-up screening room to show the accompanying short film. 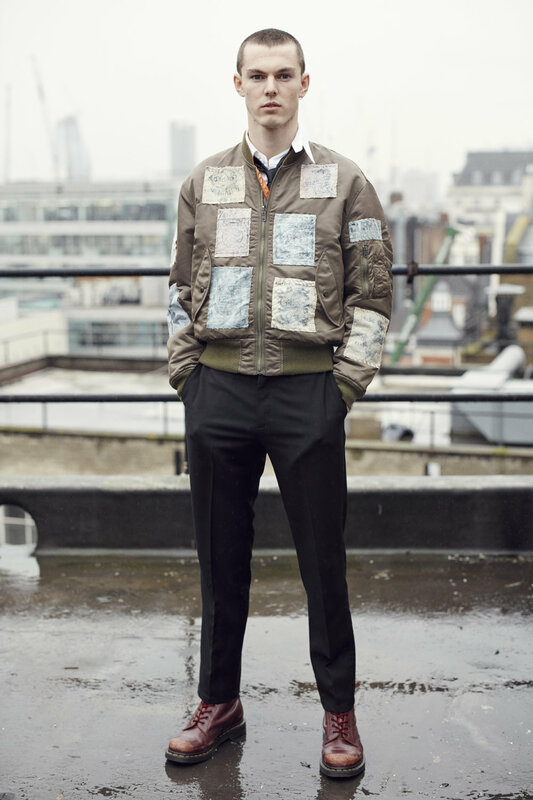 The concept portrays a more diverse vision of a London-based menswear brand with the pure English blood. 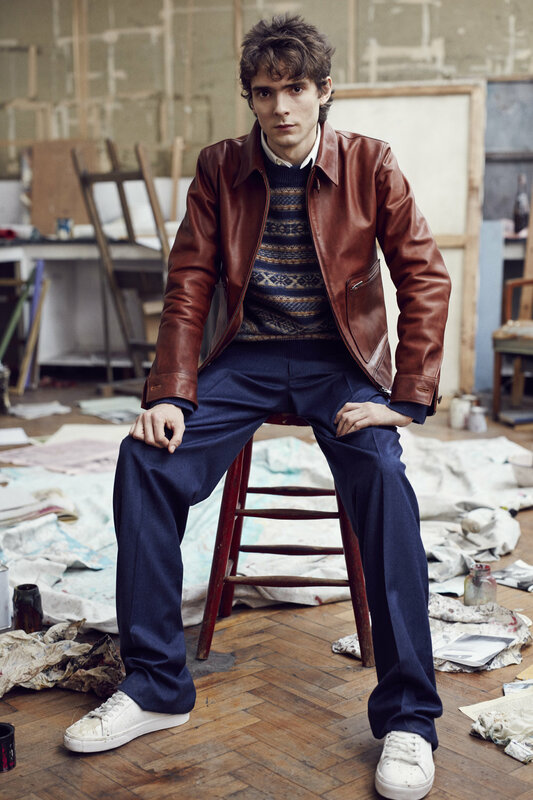 The collection almost turned the boutique into a refined vintage shop; they are inspired from various angles of those characters: A fascinating selection of tailored jackets with either tweed or wool fabrics and some emphasise on shoulders & collars. 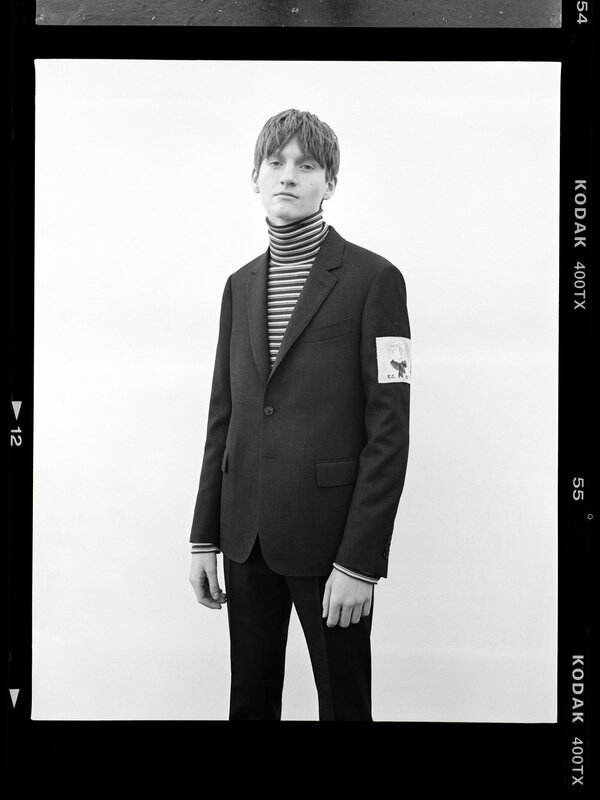 There is a piece of photograph captured a group of boys with navy coats and blazers, with striped turtleneck top and Dr.Martens style leather boots, I guess they are musicians from the “Teddy Boy” period. 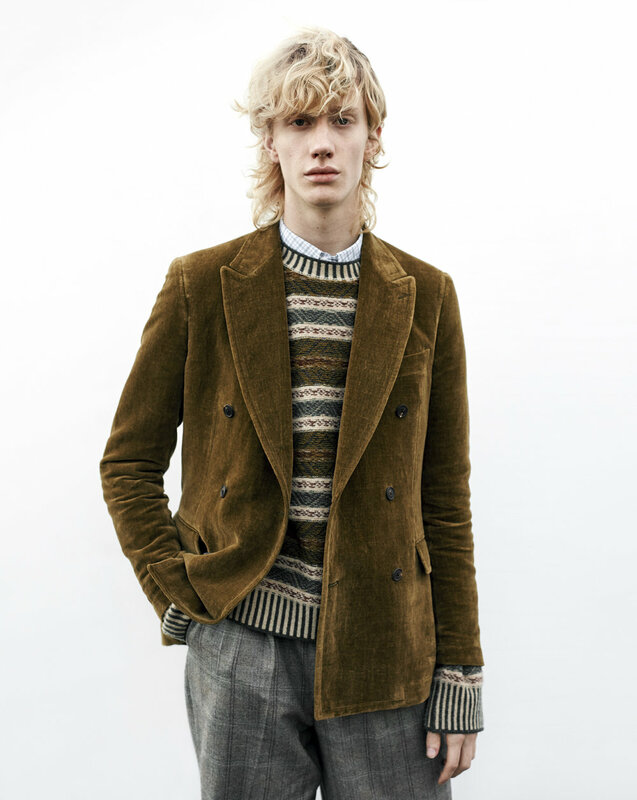 Then another rail looks like a retro sportswear antique - the redesigned sportswear with a palette of mustard, burgundy, dark green and a hint of red - Which object can represent Britain more than English roses?